Are you tired of the basic marinades you use every week? Well here is a new one for you! This delicious recipe is really easy to make and can work on multiple proteins. This week we will focus on that rich omega 3 fatty acid, vitamin b packed fan favorite salmon. This tasty fish has links to reducing heart disease, strengthen bone density, and lower triglycerides. Paired with orange, ginger, and balsamic vinegar this dish is sure to shine at your next dinner table. Serves well with many side dishes like roasted vegetables, rice or even on top of a salad with your favorite lemon-y dressing! Place orange juice in a small saucepan over medium low heat. Cook and stir 10 to 15 minutes, until reduced by about 1/2 and thickened. Remove from heat and allow to cool. 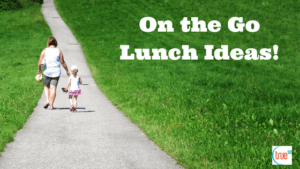 You might also like: On the Go Lunch Ideas! If we are still new to you… True 180 Personal Training for Women – we are a women’s only personal training studio in Ballantyne, and we are a safe space where women who don’t necessarily like gyms CAN get into the best shape of their lives in a safe and sustainable wa y. Find out more about us here, and/or find out more about getting started with a Spark!